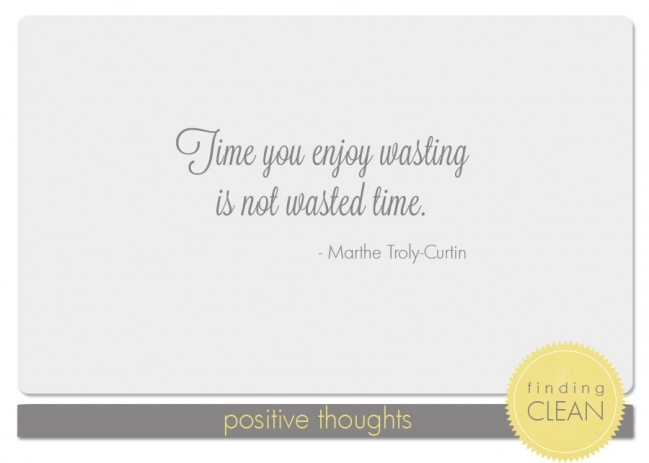 I often have to remind myself that it’s not “wasting” time when I’m doing something I enjoy. When I spend time cleaning my office space, or decorating, or even leisurely reading a book, I often feel like I’m wasting time because I could be doing something more productive. But, sometimes I think my brain needs a rest. It’s just hard to remember that we don’t ALWAYS have to be on the hamster wheel…..